We specialize in Parking Lot Paving Services: repair, resurface, new builds and re-grading for positive drainage. We provide services throughout Amelia, Powhatan, Goochland and Cumberland, Counties, VA.
​If you would like a Free quote for commercial paving services, then call or email us and we will be happy to oblige! 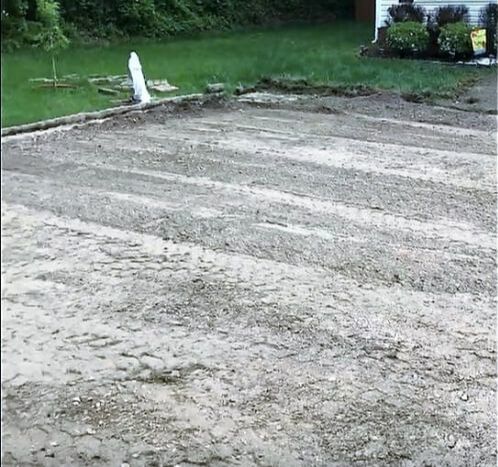 There is so much more to crafting a new parking lot or driveway than just putting down asphalt. It is a multi process that includes grading the ground below your asphalt for positive drainage- water is a very destructive force. Our full service asphalt installation services ensure the job is done right. 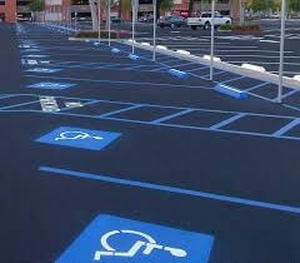 We follow all rules and regulations required by Virginia to build long-lasting parking lots. 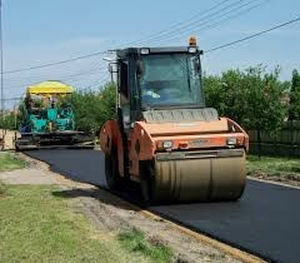 Requirements are concerned with water runoff, type of materials used, depth of gravel base, depth of asphalt layers and the strength of asphalt mix. Your commercial business is represented by the outside of your property. Your driveway is the first thing your customers see. Damaged, worn, and aging asphalt can leave a bad taste in their mouth. Choose our services for driveways and roadways that accurately represent your business. Our commercial asphalt paving services are licensed, bonded, and insured. Consider our asphalt paving services. Give us a call for a free estimate for your commercial asphalt needs. Whether you have a small business or a homeowner’s association community, we provide full-scale asphalt parking lot paving services you can count on. 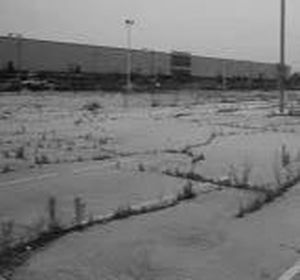 Keeping up with parking lot maintenance makes good economic sense. 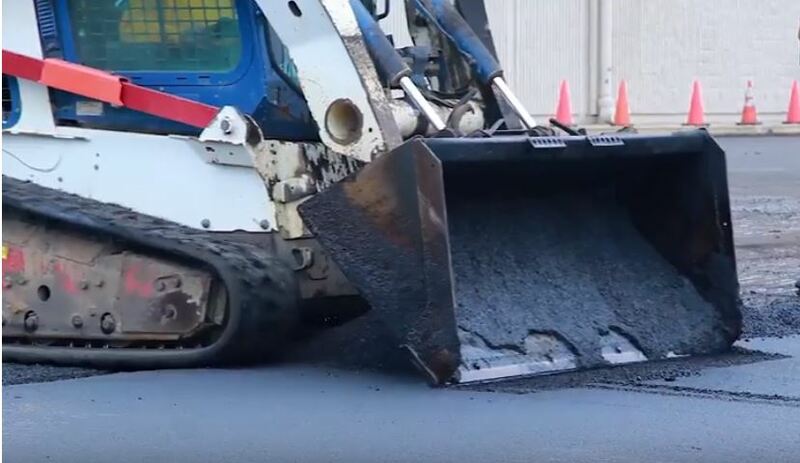 Repairing potholes will encourage clients to use the parking lot without fear of car damage or personal injury falls caused by broken pavement. Show your clients your respect and regard by maintaining a safe parking for them to use. Call us at County Line Paving in Amelia, VA. We gladly offer free estimates on asphalt paving projects. We have spent years building strong asphalt pavement for private roads, parking lots and other applications. We know not to skimp on the quality of our services. 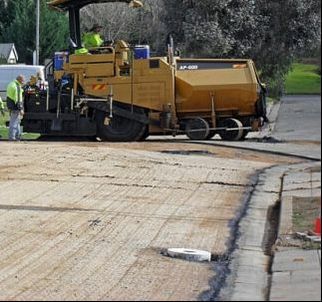 We use the correct asphalt mix for the job and we follow industry protocol of grading for good drainage, proper depth of gravel and asphalt layers and others. The asphalt road or parking lot is a system where all components must be done right for long-lasting worry-free service. Sealcoating is the best way to protect your asphalt from the damage caused by the environment and natural wear and tear. By investing in sealcoating services from County Line Paving, you can maintain your property for far longer. For more information about our commercial paving services in Amelia, VA, all you have to do is give us a call. As top rated contractors, we proudly provide premium paving services for our commercial clients. Give us a call for your free commercial asphalt paving estimate. Don’t let cracks in your driveway or parking lot turn into a major pothole repair. Let our team of contractors provide expert asphalt repair services to get your parking lot back into a problem free lot. Potholes aren’t just a nuisance, they also make you liable for damage to a client’s car or personal injury claims. 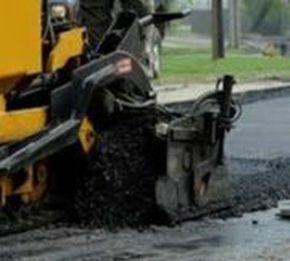 Our pothole repair will not only protect your clients from injury but your business from devastating insurance claims. Need an update on your parking lot’s signage? If so, we can help there too. We’ll make your parking lot traffic flow directions understandable and quickly read.